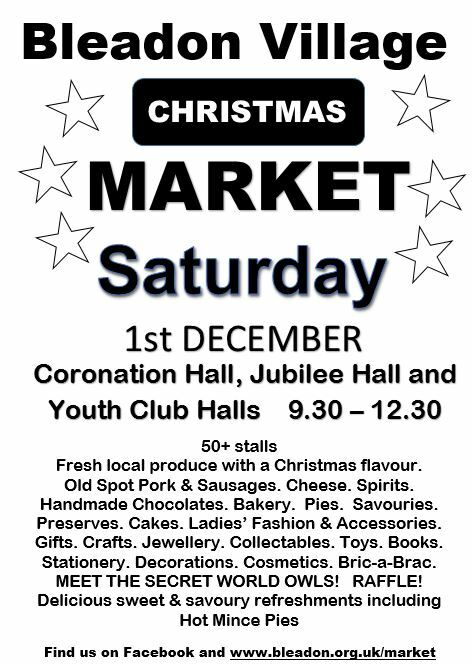 50+ stalls, Fresh local produce with a Christmas flavour. Old Spot Pork & Sausages. Cheese. Spirits. Handmade Chocolates. Bakery. Pies. Savouries. Preserves. Cakes. Ladies’ Fashion & Accessories. Gifts. Crafts. Jewellery. Collectables. Toys. Books. Stationery. Decorations. Cosmetics. Bric-a-Brac.